We run formal group supervision sessions approved by the GHR and the NCH with accredited supervisors. When you qualify through this school, you are invited to attend these sessions free of charge. 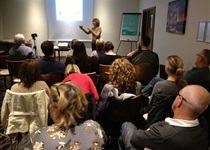 Counting as formal CPD (Continued Professional Development) with the GHR and NCH, every quarter, we hold a support group whereby we welcome some of the most impressive speakers from around the UK and Europe to lecture and present about hypnosis, hypnotherapy and related fields. In recent years we have had some real heavyweight and inspiring speakers that our students and graduates have learned a great deal from. As well as nationally and internationally respected speakers, we also have popular support group events whereby former students and graduates lecture about research, case studies and ongoing clinical experiences. In addition to the speaker lectures, we get to discuss any ongoing client cases, business development and, of course, have fun and network with each other: all offered up in a friendly atmosphere that helps us all to be motivated and supported. We believe in doing all we can to help develop the field of therapeutic hypnosis. Therefore, any hypnosis professional or student of hypnosis is welcome to attend these peer support events (whether you have trained with this college or not). If you are a hypnosis professional or a student of hypnosis and you’d like to be notified of the latest peer support events when they are organised, you can register to receive updates here. You’ll be very warmly welcomed. At the end of each academic year, all our graduates and current students are invited to our Summer conference and dinner dance. Each year, we have a good, old fashioned, fun-filled knees-up. 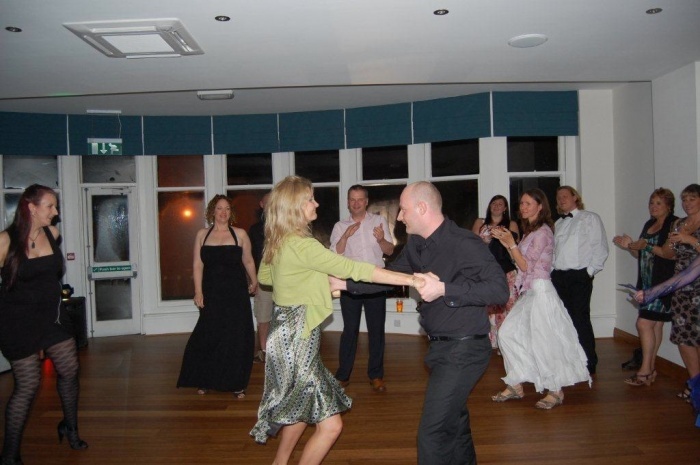 We have lectures in the afternoon as well as a drinks reception and then a dinner dance in the evening to get to reunite with your colleagues, meet previous students and have some fun. The evidence-based lectures always showcase completely new material (not featured in any other previous course or seminar that we have delivered) and reflect modern research and developments in the field; students (current and former) and graduates of the college can attend for free, and then we have the dinner and disco. These events are the stuff of legend. Sometimes being a hypnotherapist can be lonely, so we come in out of the cold to spend some time with our colleagues, friends and fellow hypnotherapists. 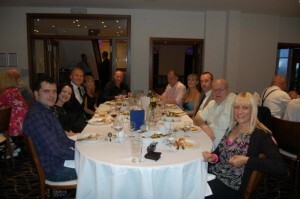 While friends and family get to go to their ‘works do’ what do us hypnotherapists go to? This Christmas party of course! For those that do not get a company Christmas party (as with most of us therapists) this is your chance to have a ‘work do’ and enjoy a Christmas party with friends, colleagues and peers. We have dinner and then we have a disco afterwards for all those wishing to celebrate the festive season in style. It is often preceded by a daytime CPD event. 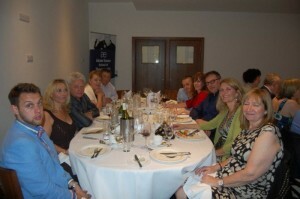 On an irregular basis, we organise what we call a Hypnosis Geek Dinner. For all those of us that just want to discuss hypnosis and hypnotherapy, express our opinions, showoff new skills and debate, philosophise, have fun, learn and network. We have our own private dining room, dinner is laid on and we have formalised set debates as well as informal discussions, then fun and demonstrations from a wide range of fascinating individuals who are positively ‘geeky’ about hypnosis. It is a great way to learn and keep informed, as well as celebrating our field with like-minded people. 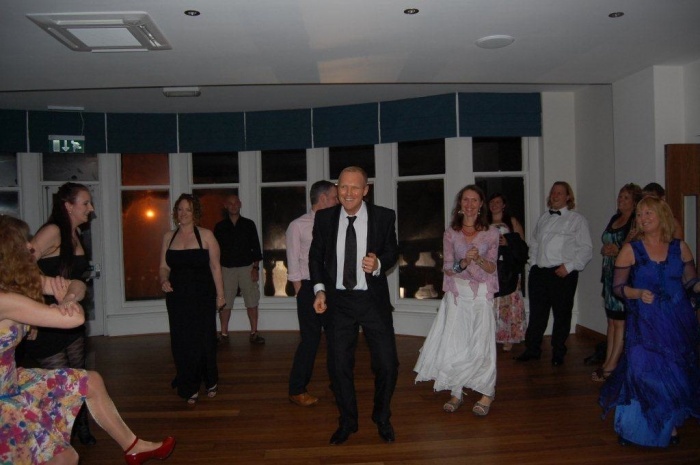 As all the attendees of former events over the years will tell you, I do like to burn a hole in the dancefloor, but that is not my primary reason for these events. Therapists are often self-employed individuals who can feel isolated and unsupported at times. It is a wonderful community that we have here, and, as a student and graduate of this college, you become an inherent part of that supportive community if you want to be. In my experience of training with many schools, speaking at conferences and networking with thousands of hypnotherapists each year across the world, I know that hardly any other college or school offers such continuing ongoing support and sense of community. 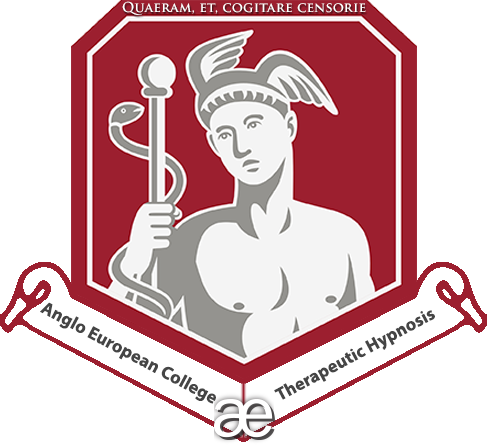 Because of the number of years this college has successfully been training quality hypnotherapists, there are many people that attend these events that are successfully practicing as hypnotherapists, and these are great people to be around and learn from as well as share experiences with. Everyone is warm and welcoming, I insist upon it – even if you arrive knowing no-one (which very rarely happens) you’ll leave any of these events with plenty of new friends.